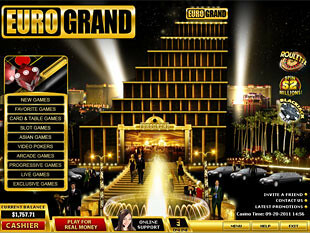 EuroGrand casino is powered by Playtech and offers you a wide range of video poker games. Here you will find all you need to have a great time and play with free cash. Numerous bonuses, secure payment options and friendly customer support guarantee you safe gambling experience. There are over 60 games to choose from. 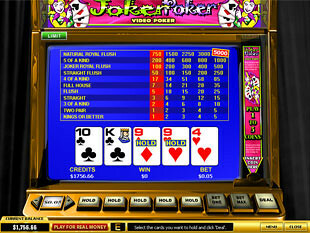 Video poker games are represented with several variations including single player and multiplayer games to try. Learn more about the basic strategies to win and play to your heart content. 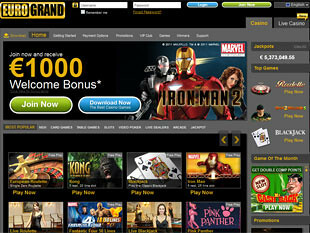 EuroGrand casino offers you to start playing with $250 free available for the first deposit. You need to make the minimum deposit of $20 after registering a real money account to get this 25% bonus. Then click “Claim Bonus” button within the casino software and get your free cash into the casino account. The wagering requirement is 25x. Only wagering on Slots is count. 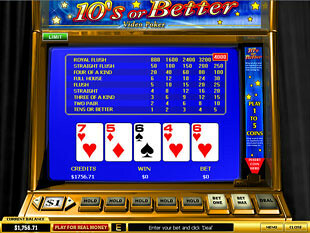 Note that wagering on progressive slots are excluded. There is also $1,000 Welcome Bonus. This promotion is prepared for those who are ready to deposit $4,000 minimum. Such an offer for high rollers who adore playing with great cash. Make deposit, click “Claim Bonus” button and meet the wagering requirement of 25x to withdraw your winnings. If such a sum to deposit seems to be incredible for you, just continue the game with 60% bonus for the second deposit. This time you need to deposit at least $20 to get up to $500. Meet the wagering requirement of 12x. Play slots only except progressive slot games. The next promotion you can get is 300% up to $300 bonus. It is available for the third deposit that should be not less than $20. The wagering requirement is 12x. EuroGrand casino also offers you 15% bonus that guarantees you up to $2,500 per month if you deposit with such payment methods as Bankdraft, Neteller or Wire Transfer. You need to contact Customer Service via Live Chat when deposit is made. Those who deposit with Citadel, WebMoney, EcoCard, PaysafeCard, Maestro/Switch Card, Solo Card, UseMyBank and Moneybookers will get 10% bonus that also presents them up to $2,500 per month. To withdraw your free cash you need to meet the wagering requirement of 12x. Wagering on such games as Heads or Tails, Video Poker, Pontoon, Craps, Baccarat, Roulette, Blackjack Switch, Blackjack Surrender, Sic Bo and Darts will not be count. EuroGrand casino also offers you $50 Refer a Friend bonus. Click Invite a Friend button within casino lobby and leave his or her email address. You will get your bonus as soon as your friend deposits at least $20. The wagering requirement is 12x. Choose between flash and download formats. The collection presented in both formats differ but the graphics and sound are superb anyway. 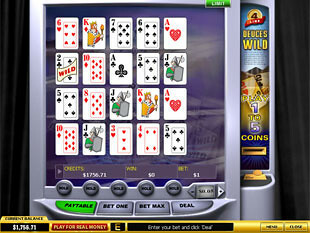 Play instantly through the browser or install casino software on your computer. You can play these versions after registering a casino account. Use the same name and password to log in flash as well as download casino. 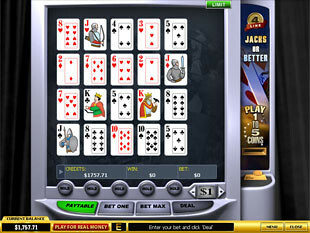 Play such video poker games as Tens or Better, 2 Ways Royal, Joker Poker, All American, Jacks or Better, Aces and Faces and some others. Play smart with free cash provided and get the best awards ever. Choosing among the following deposit options don’t forget about special cash back bonus: MasterCard, Instadebit, Moneybookers/Skrill, Neteller, Delta, Visa, Diners Club, Click2Pay, PaySafeCard, Ukash, iDEAL, Bank Transfer, Web Money, Wire Card, etc.